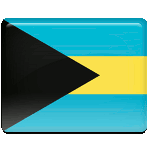 The Commonwealth of The Bahamas celebrates its Independence Day on July 10. On that day in 1973, the Bahamas gained independence from the United Kingdom. The Bahamas is an island country in the Atlantic Ocean located north of Cuba, the Dominican Republic and Haiti. The islands were discovered by Christopher Columbus in 1492. During the following centuries, they became a haven for pirates. Pirates even established the so-called Republic of Pirates in Nassau. To put an end to the rule of pirates, Great Britain declared the Bahamas its crown colony in 1718. However, the piracy was suppressed only after a long struggle. The islands remained sparsely populated until the American Revolutionary War. When the USA proclaimed its independence, thousands of American Royalists settled in the Bahamas. After World War II, modern political development of the Bahamas began. In 1950s, the first political parties were created. In 1964, Britain granted the islands internal autonomy. On July 10, 1973, the Bahamas was officially declared a fully independent nation. However, it retained membership in the Commonwealth of Nations. Independence Day is a public holiday in the Bahamas marked with colorful festive events, including parades and fireworks displays.